Blinking is most often an involuntary act of shutting and opening the eyelids. 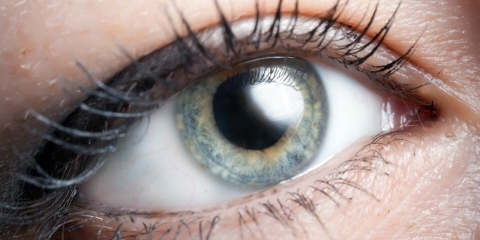 During each blink the eyelid blocks the pupil and cornea from the illuminator resulting in raw data points missing the x,y coordinates information. During analysis fixation filters can be used to remove these points and extrapolate the data correctly into fixations. Provided that the head movements are within the eye tracker specifications, i.e. that the missing data points do not originate from moving the head away from the eye tracking box, it is also possible to extract information on blinks from the raw data collected by the eye tracker. This can be done by extracting it manually from the raw data exported from Tobii Studio.